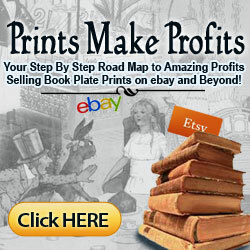 Earn Solid Income Printing Digital Art Images Onto Antique Book Pages! Get ready for something that is both very simple, and very lucrative. 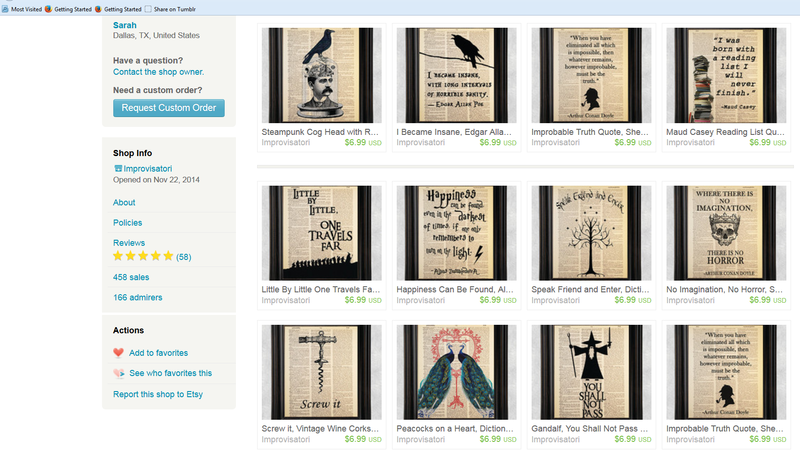 You can now create stunningly attractive prints on genuine antique book pages for just pennies that sell for $6.00, $11.00, even $22.00 EACH and they go like hotcakes! And you can create these high profit antique book page prints using nothing but public domain images and FREE software. Upcycle Print Profits is the culmination of a 3 month creative partnership between myself and Bart Hennin during which we exhaustively researched, designed and tested every aspect of this simple money maker until we were 100% sure we had cracked the code to this highly profitable and FUN business model! Now we are ready to share everything we have learned with you! Secret sources to get dozens to HUNDREDS of genuine antique book pages for just pennies a page and how to get started on the cheap if you are strapped for cash. How to easily choose the right kind of antique pages – It’s simple but this alone will increase your sales and profits tremendously. 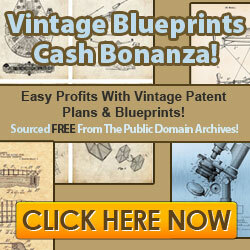 Secret sources for easily finding TONS of highly popular public domain prints in virtually ANY niche that people will pay BIG BUCKS for! How to quickly and easily discover the hottest niches so you don’t waste your time on dead end prints. Where to get clever quotes to add to your prints – This ALONE can sky rocket your sales. How to add color and other effects to your images using free software (WITHOUT having to be a graphics expert) – This can quadruple your sales! We’ll ALSO show you how to operate on a shoe string budget. There is very, very little upfront (virtually zero) money needed to start this lucrative business! We show you tricks to doing everything for pennies per print and how to defer most of your (very minor) costs until AFTER you’ve achieved your first sales and profits! 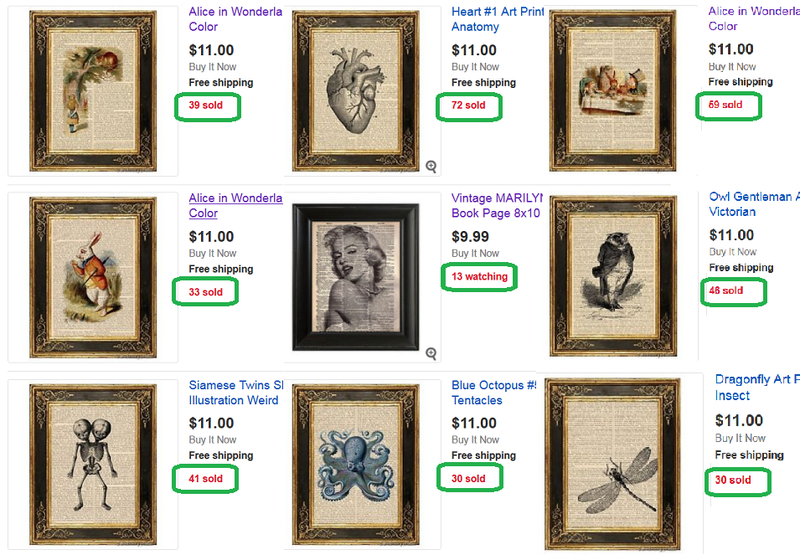 We’ll show you MULTIPLE PLATFORMS where these prints are being sold like crazy…You can list on one or ALL…your choice! Upcycle Print Profits is the PERFECT home based business for the 21st century and involves using freely available public domain images to create new, fresh and unique designs that are then printed onto the discarded text pages from vintage and antique books – the result is HUGELY popular, one of a kind art works that sell like hot cakes on Etsy, eBay and elsewhere! * You can operate this business from anywhere – your home, your garden shed even on vacation! * You don’t need to buy any special equipment to do this – a PC, internet connection and home inkjet printer is all you need (My printer is a Canon 2900 worth $45-$55 on Amazon US including shipping). You definitely DO NOT need anything fancy to get great prints! * This business is FUN, creative and lucrative! * Profit margins of 80% PLUS are easily achieved! * There is no need to store inventory with this business! * This business is competition proof! 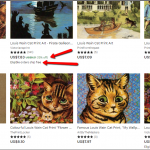 – Your prints will be totally unique! We show you how! * You will be proud to tell your family and friends about your online business! * You can run this business without ever leaving home – perfect if you are a stay at home mom, retired or housebound. And the PROFIT POTENTIAL IS HUGE! 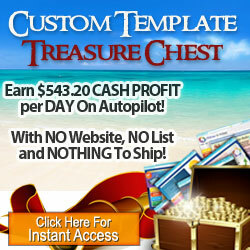 This business model is capable of generating thousands of dollars in monthly revenue! Here’s a screen shot of just ONE Ebay seller’s stats (we show you how to get info like this for ANY seller in your course FREE!). 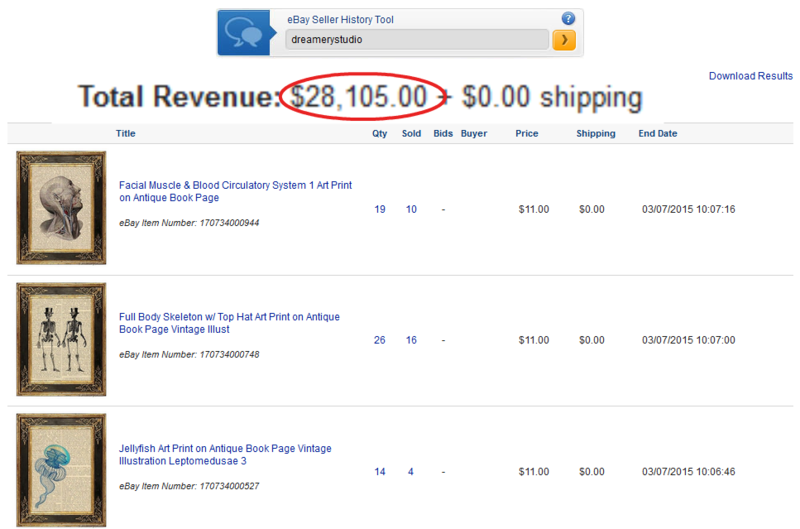 In your course we show that this ONE seller sold 152 prints in just 7 days totaling $1717.47 in revenue!! After shipping and listing fees, about 80%-85% of that would be pure profit. 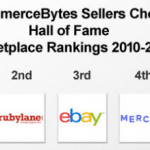 In fact, you’ll find TONS of successful sellers because there are so many niches available! Current sellers have just scratched the surface! Upcycle Print Profits is a very comprehensive yet easy to follow 189 page ebook that walks you through the entire design creation process from very simple to very fancy (but still relatively simple). * How to identify the hottest, most popular sellers and emulate their success. * How to create MULTIPLE print products from ONE public domain image to multiply your sales. * How to use public domain resources as the basis for creating your own unique designs (using simple free tools) that YOU THEN OWN THE EXCLUSIVE COPYRIGHTS to! * How to use FREE online tools to turn your designs into unique prints people will enjoy collecting. * Where to find huge supplies of antique and vintage books for next to nothing containing 100’s of beautifully aged text pages – These are really the KEY to adding great value and a popular vintage flair to all of your prints. We really have left no stone unturned with this course! And of course, you get my full 30 day, 100% No questions asked FULL REFUND GUARANTEE. If you are not happy and in fact completely THRILLED with your Upcycle Print Profits course and videos for any reason, I will gladly refund you in full. Your happiness is worth a lot more to me than the few dollars I’d make on one sale of this course. This is a guarantee I’m quite glad to honor… I’m THAT CONFIDENT you will enjoy this course and succeed with it! But that’s not all you get…. There’s MORE! 1) SUPPORT! In the course I include my email address should you have any questions or feedback. 2) BIG DISCOUNT! I know I can easily sell this course for $197.00+ because it is so detailed and shows people how to REALISTICALLY make $1,000’s of dollars a month PART TIME but TODAY you pay nowhere near that. 3) LIFETIME UPDATES & ONGOING TIPS! We will be adding additional exclusive videos and super helpful tips in the future. This “added course content” is yours FREE! The LINK to sign up for your free lifetime updates is revealed inside your course guide! 4) EXCLUSIVE BONUS! 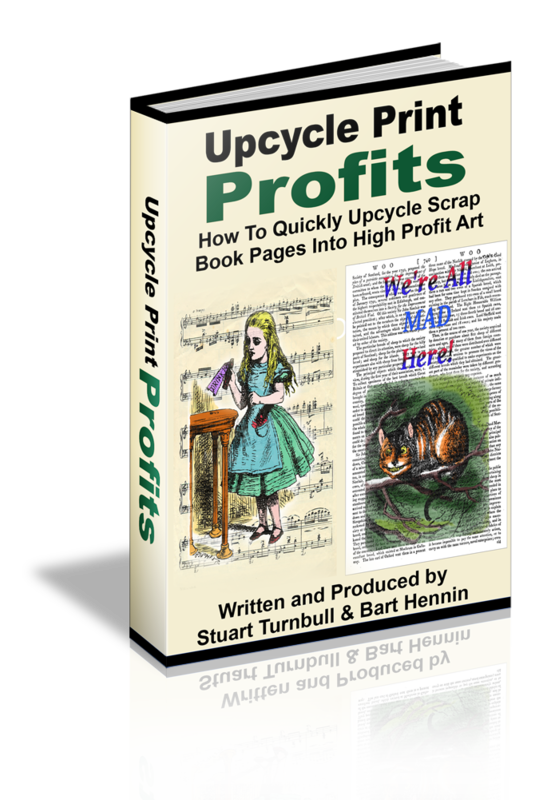 When I announced the upcoming release of “Upcycle Print Profits” a few weeks ago I was overwhelmed by the avalanche of positive comments I received and so I wanted to do something very special for you. This bonus is great because it shows you how to create a digital image of your prints on antique pages shown placed inside picture frames so your customers can see how it will look hanging on a wall. This special bonus consists of THREE VIDEOS that show step by step all you need to know to create awesome pictures of ANY print you have for sale (WITHOUT needing a camera or even a scanner!). This bonus will add zing to all your listings no matter what site you list with! (eBay, Etsy, etc.). IF YOU OFFER (or plan to offer) ANY kind of prints online, whether antique prints, book plate prints etc, You’ll love this bonus! The exclusive Bonus Video Course – How To EASILY Generate Beautiful Digital Pictures Of Your Prints Inside Attractive Frames For Display On ETSY & Ebay! FREE LIFETIME UPDATES & Ongoing Tips! My 100% no questions asked refund guarantee if you are not thrilled and delighted with your course! PS – What other online business do you know of where you can make thousands of dollars monthly in CASH earnings selling PHYSICAL products and carry ZERO inventory? And keep 80%-85% of your sales as PURE PROFITS! PPS – With my 100% full refund guarantee and the extra low price, it certainly does no harm to at least take a peek at this course right? I’m sorry but this special bonus offer has now ended – sign up to my blog (opt-in box at the bottom of this post) and I’ll keep you posted re. this product and more! So I encourage you to click the buy button now before it’s too late! I downloaded my guide…Where are the videos? Where is my BONUS? To simplify downloading, ALL videos and your bonus are linked to from within your course guide PDF. I’m a complete newbie. Will I be able to do do this? Absolutely! We designed this course so even people with NO experience or skills can still be (very) successful. You WILL have to take action though. I already sell prints on ETSY/Ebay. Can I add these antique prints for additional revenue streams? YES! It’s a great way to add a large variety of highly profitable PHYSICAL products to your product line WITHOUT the need to carry any inventory…Just print your pages as you make sales! Will I be able to find profitable niches? Definitely. Your guide goes into complete easy to understand detail on exactly how to do this (and it can be quite fun too!). IN FACT it’s likely you’ll find so many lucrative niches, you’ll have to pick your favorite 1 or 2 to start and put the rest on the ‘back burner’ for later. There seem to be a lot of sellers doing this. Is there a lot of competition? 1) Not really. What’s nice about this business is that there are so many diverse niches and so many ways to differentiate yourself from everybody else that “competition” really becomes non-existent. This course shows you many fun and simple methods you can use to differentiate your prints so they are UNIQUE one of a kind products that buyers will seek out. They’ve been opened exactly 6 months, are offering 52 items, and have 458 sales! 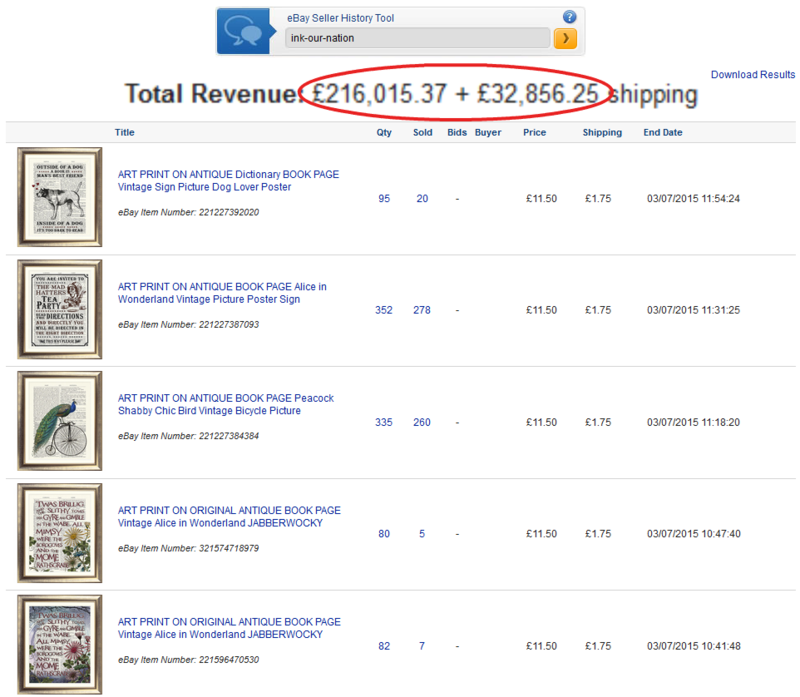 That’s 76 sales a month average and as you see, their prints are nothing fancy… And the sales are continuing to climb! Can I really differentiate myself from the competition? Absolutely and this is much easier than you can imagine. Your guide goes into complete step by step detail on exactly how to do this. 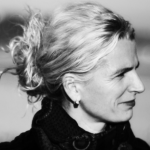 Will I find the Image manipulation – too ‘techie’ ? Do I need to be a graphics expert? NO NOT AT ALL! 1) As the prints above show (and many other examples in your course guide show) you need not get fancy. Many times all you need to do is size and crop a FREE public domain image, and perhaps insert some simple text and you are good to go! Your course shows you exactly how to do this in very simple step by step NON-techie fashion using FREE easy to use online tools. Honestly, if you can click a mouse, you are good to go! 2) If you wish, adding fancier effects is easier than you think. Your course shows you how to add color and other nice touches to your prints using free tools WITHOUT having to be a graphics expert. How simple or fancy you want your print(s) is totally up to you. Do I need any special equipment to create/print these high profit products? NO. All you need is internet access. You can print off your upcycled prints on any half decent inkjet printer (yours or a friend’s) manufactured within the last decade or so (I use a Canon MG2900 series printer which goes for $45-$55 on Amazon including shipping). If you want to invest in a higher end printer down the line once you are making solid profits, that’s up to you, but it’s NOT a requirement to start making money now. The major advantage of a higher end printer is FASTER printing when you are doing high volume sales. Will my Inkjet printer be good enough for the job? Is it hard to print onto antique paper? Any paper jams? YES virtually any modern day inkjet printer (even fairly low end ones) are more than capable of producing quality salable prints. Most times you can print onto antique paper just as easily as you do regular paper BUT for delicate pages, the course ALSO covers a simple trick you can do to effectively strengthen any antique page (rarely necessary) as it goes through the printer. The course also shows you how to easily trim any rough edges so your pages easily slip through your printer without paper jams. YES!! IN SPADES! If you have a question – ANY question (whether you’ve purchased or not) simply email me. What if I have trouble downloading the file(s)? This is rare but if it happens, no worries…Just shoot me an email with your sales ID# and I will manually send you the entire course . In fact, for ANY help you need, email me and I will take care of you! Is this course newbie friendly? Absolutely yes! ANYONE can do this if they take action. Will advanced marketers also benefit from this course? Can this course be completed internationally? Yes! You can implement the techniques shown in this course from any country in the world with an internet connection and connection to Ebay and/or ETSY or even Amazon. No. But you must take action. We show you in a step by step format everything you need to know & do AND we give you many different options. Anyone can do this. If you work consistently you will see tremendous results! Do I need a Website? Email list? This course is suited to everyone from novice right up to experienced marketers. Anyone wanting to sell profitably on ETSY, Ebay, or Amazon using a very simple, yet highly profitable business model will love this course (which is written in a clear, simple, and engaging step by step manner so as to NOT leave even a complete newbie behind). Can these methods become saturated? Absolutely not! There are so many niches, sub-niches, sub-sub-niches, topics, quotes, images and so many potential products to create that you couldn’t POSSIBLY even come remotely close to saturating this ever. My refund policy is super simple: I take all the risk. 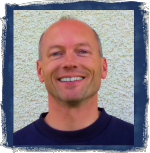 You have a FULL 30 days to use and review your comprehensive course. If, for any reason, you are not fully satisfied and in fact, completely thrilled with the exciting info contained within your guide, you get a FULL 100% no questions asked refund. I’m that confident you will succeed! You can also also get answers to your questions by leaving a comment on this post. Sorry I missed it. I have “Prints Make Profits” and I’m sure this one would have been just as good. My laptop went down for 3 weeks, just got it back, in that time this has come and gone. Will you be doing this one again? Thanks for your interest, David! I’m sorry you missed the offer – I’ll keep you posted when the course is available again later in the year. Got mine as soon as it was available and played with it all weekend. Stuart, this course is outstanding! On my shopping day (100 miles round trip) last Friday, I filled several pages of a little notebook with ideas – fortunately I managed not to drive off the road, writing and driving haha. I was up coloring images late last night – Fun stuff! Can’t wait to finalize something and put it out there. Tks for the advice.Will be buying. Stuart sounds like a great course. Welling to try! A Question? What are the mailers like u use? Are they Expensive? What would be the best way to sell, Framed or Frameless? I use rigid, board backed envelopes that cost me 23c each. There are recommended suppliers (based on quality and value) for both the UK and US in the course that I have used myself. your training course looks fascinating but I am also a little concerned about the cost of buying the books to get the antique pages; I am temporarily living in Australia so presumably would have to source the books from Europe or America. I know that I should be focussing on the ‘bigger picture’ but am one of the cash strapped people that sees the potential but worries about the set up costs. Thanks for your question, Ann! Don’t worry, there are lots of ideas for sourcing old books in the course that we have used ourselves – it isn’t costly and can be as simple as visiting a local used book store! As usual a really great product with lots of fantastic information. Thank you for sharing your knowledge!! Can a Laser Jet printer be used instead of an Ink Jet? There is lots of debate but generally speaking, laser printers excel at printing sharp text but are less good at producing high quality color. Therefore laser printers are NOT common choices for printing photos or color prints. Another way to go is to perhaps (initially) confine yourself to black and white prints only…a vintage B&W print accompanied by bold black clever text in the right niche can also be quite popular…You only need ~ $50 profit to get yourself into an inkjet printer and then you have the best of both worlds…Laser for B&W and Inkjet for color…Always a way! It isn’t as expensive as you might think, John. We also include suggestions for getting started with minimal outlay. Congrads on your launch, hope it goes well for you. I’m buying it today and reading it and start adding it to my Etsy store. Wish me luck, its been a rough road as you know. See if this helps me out with sales. If I have any questions I will contact you, as always. I’m always here to answer your questions, Reg! I have a laser printer. Will that do? I didn’t even read the contents of the course, given my previous experience and many purchases from you in the past. I went straight to BUY NOW. I just purchased. Monique was faster than myself to be the first one … Thank you! Got my copy first thing. Looking forward to it. Thanks!